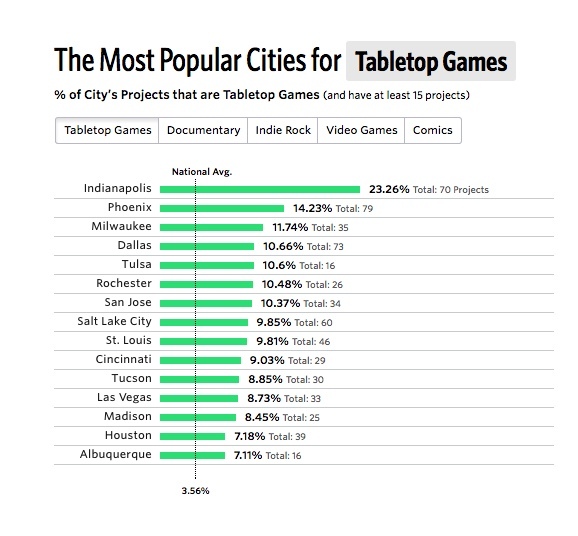 A visual data company company called Polygraph looked at over 100,000 Kickstarter projects in the US and wrote a really cool blog post about them. NYC over indexes for film, theater, and dance. LA over indexes for film in a big way. 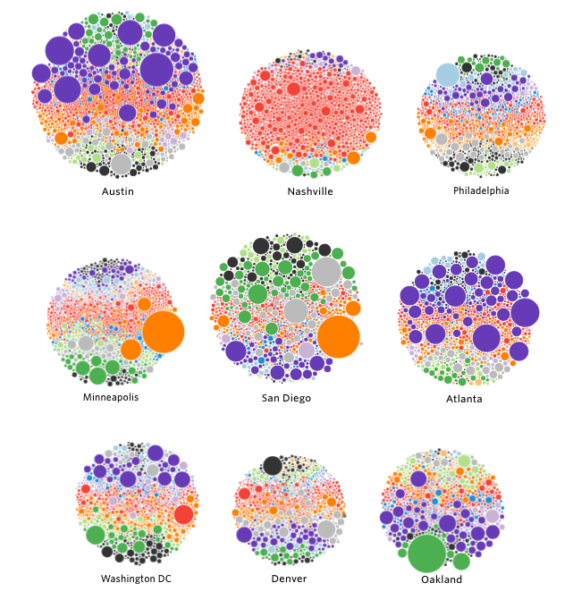 SF over indexes for art, design, and tech. Chicago over indexes for publishing and theater. 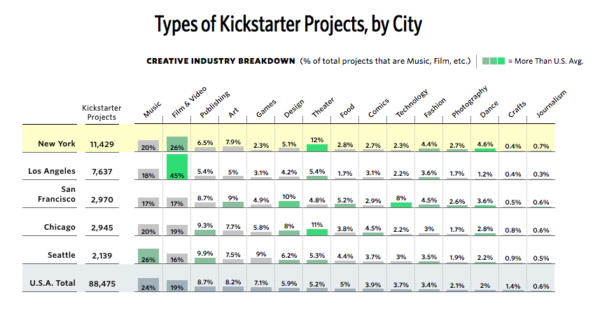 Seattle over indexes for music, publishing, design, and theater. Nashville is almost all red because its a music city. 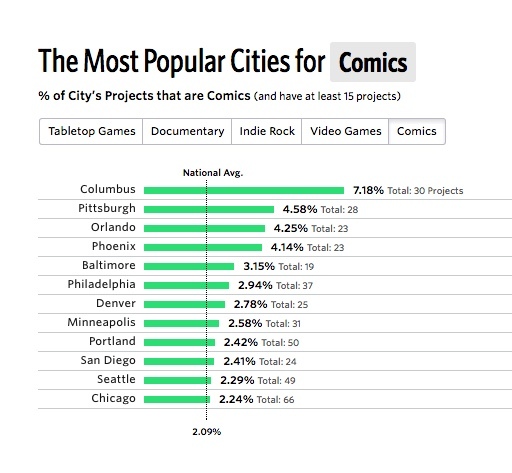 Atlanta produces some huge game projects. You can learn some interesting things. The Polygraph blog post is super interactive (unlike this post) and if you want to dig into the data, you can do it there. Creativity is alive and well all over the world and you can learn a lot about it by studying what goes on on Kickstarter.